Expo's ridership was 54,073 for December, 2016! We did it: Expo Line opened to Santa Monica on May 20, 2016! This website will remain here as a record of the 26-year effort for this project. 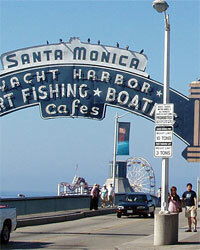 Santa Monica to downtown L.A.  livable communities' alternative to traffic! We are an all-volunteer group of citizens joined together to support an alternative to Los Angeles' world-record traffic: a fast, comfortable, safe, quiet, exhaust-free, high-capacity light rail transit line  with landscaping and bike path  from downtown L.A. to Santa Monica. 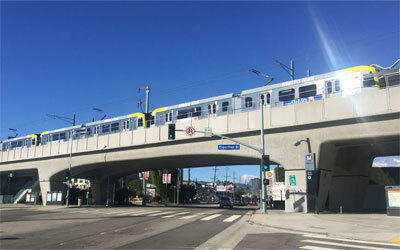 The Expo Line will serve Westside and downtown jobs; recreational, educational, and cultural opportunities from Santa Monica Beach to Exposition Park, Staples Center, and downtown; and the over 800,000 people who live within 2 miles. 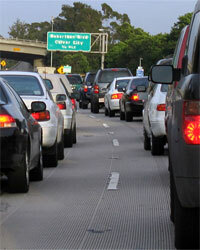 And it will link the Westside to L.A.'s growing rail network. In fact, light rail is popular, proven, and growing in nearly every major western U.S. city, including Portland, San Francisco, San Diego, Salt Lake City, Denver, Phoenix, Seattle, Dallas, and Houston. Your support made all the difference! 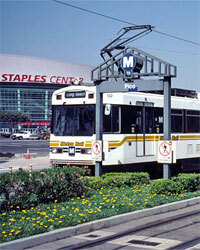 E-mail us to express your support for the Expo Line or to become involved.